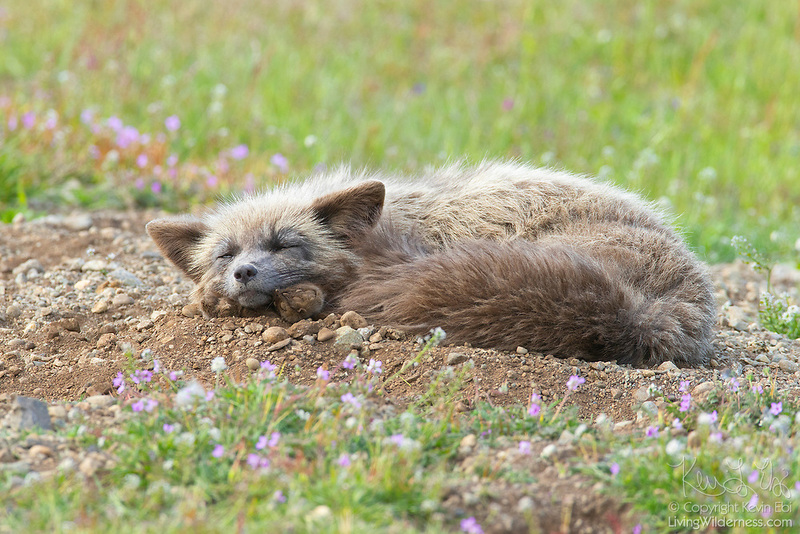 A red fox (Vulpes vulpes) sleeps near a rabbit den in a prairie in the San Juan Island National Historical Park, San Juan Island, Washington. Red foxes were introduced to the island on a number of occasions in the 1900s. All foxes on San Juan Island are red foxes, even if they appear black, silver, gray, tan or other colors.